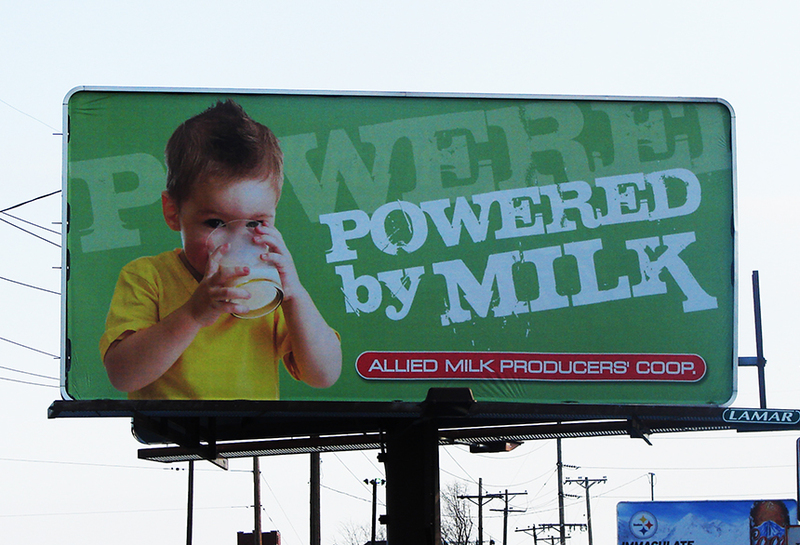 Creative Outdoor Advertising Designs | Get Inspired | Lamar Advertising | Allied Milk Producers' Coop. The Allied Milk Producers Cooperation produced a series of Advertisements for Lamar poster billboards to encourage individuals to drink milk. The simple ‘powered by milk’ slogan reminds consumers in the community to drink and serve milk to their families.